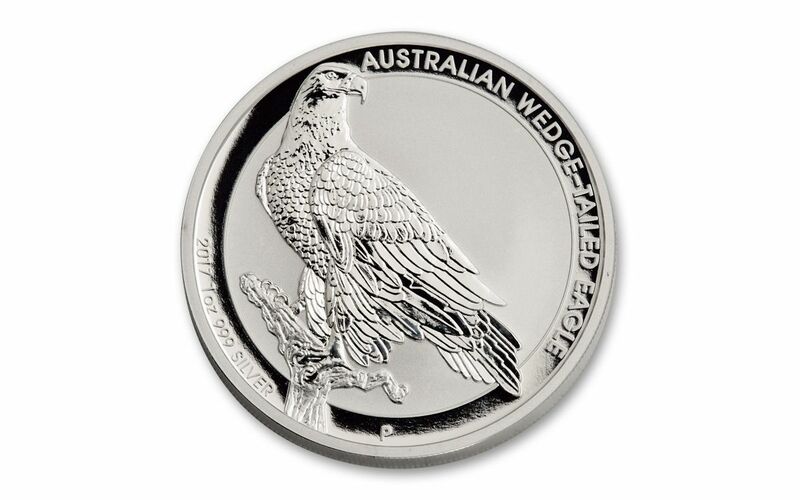 The Silver Wedge-Tailed Eagle Series Returns for 2017! A few years ago, we brought together John Mercanti and the Perth Mint to collaborate on a new coin series. Little did we know then that we'd help lay the groundwork for an international sensation! Honestly, we shouldn't be surprised. The combination of the most prolific designer in United States Mint history along with the heralded, state-of-the-art mint was a perfect match. In 2014, the two collaborated on the creation of the first-ever Australian Wedge-Tailed Eagle -- the first time a U.S. Mint chief engraver designed a coin to be struck by another official world mint. 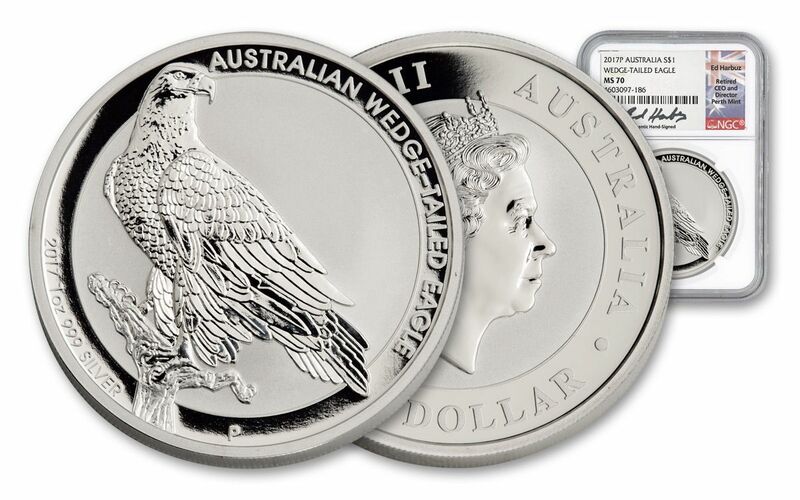 Now in its fourth year, the Australia Wedge-Tailed Eagle Silver Dollar, like the partnership between Mercanti and the Perth Mint, is still going strong! The reverse of the coin features Australia's largest eagle perched on a tree branch, while the obverse shows a stately portrait of Her Majesty Queen Elizabeth II. 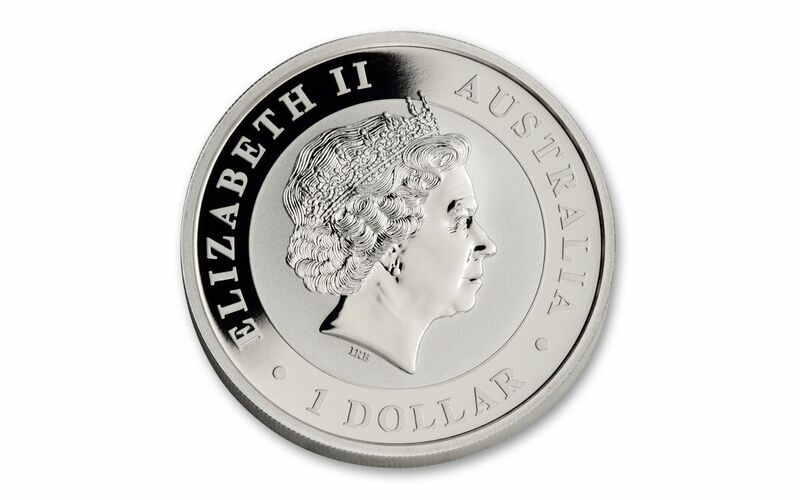 Each one dollar legal tender Australian coin is struck in 99.9% pure silver. 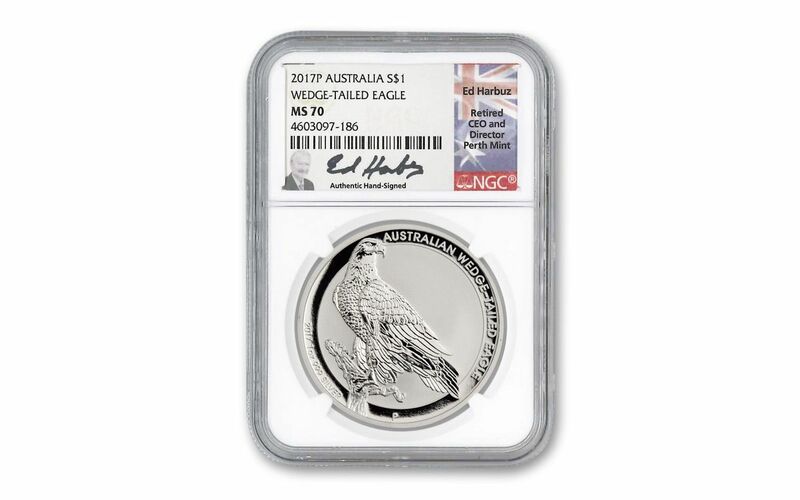 Your coin will be graded Mint State-70 (MS70) by Numismatic Guaranty Corporation (NGC), a distinction that means your perfectly-graded Silver Wedge-Tailed Eagle will have ZERO imperfections -- showing all features and fields exactly as the engraver and mint intended! In addition, your Silver Wedge-Tailed Eagle will be sonically sealed in an acrylic holder with a white display core -- giving you the best in protection while granting clear sightlines into every beautiful detail. Finally, all of your coin's unique characteristics will be listed on the acrylic holder’s label, which will also come hand-signed by former Perth Mint CEO and Director Ed Harbuz -- the only person ever to have served as an official world mint director in two countries (South Africa and Australia)! The Perth Mint has set 2017's 1-oz Silver Wedge-Tailed Eagle mintage of at 50,000, firmly establishing the year's supply for a future of collector demand. Take the opportunity now to score these gorgeous coins for your collection from their exclusive worldwide distributor outside of Australia -- GovMint.com! Get yours today!